Find answers to your questions about Little Munchkin’s Music (0-5 year olds) classes using our frequently asked questions as listed below, or feel free to contact us with any specific queries you may have. Are your music classes taught by a qualified music teacher? Yes! Annette has extensive qualifications (A.Mus.A., A.T.C.L., B. Mus., Perf. Cert.) and has been in the music industry teaching and performing for over 20 years. I'm worried about my child being 'lost' in a large class. Is there a size limit in your classes? Yes – the limit for classes is 12 children. This ensures that each child can be individually cared for; each gets a turn with all activities; there are enough materials for everyone in the class; and the class is a more personable experience. I have a 3 year old and a baby. Am I able to bring them to the same class and if so, what is the cost for both of them to attend? Yes they can both attend the same class – we encourage families. There are several classes they can be involved in. Siblings under 12 months attend free. Upon turning 1 year of age the cost is $10 per class. I don't have a musical bone in my body! I can't sing very well, but will my child be able to sing? Don’t worry – everyone has the ability to sing and there’s nothing more comforting to your child than the sound of your own voice, so sing as much as you can to your child. Your child will be exposed to in-tune singing in every class and will soon develop the confidence to sing on their own and in tune. What are the benefits to doing music classes each week? Do we have to attend each week? Regular attendance is essential to fully realise your child’s potential, as well as learning important life and musical skills. Skills such as cognitive, linguistic, emotional, social, physical, singing in tune and rhythmically, keeping a beat perfectly, moving to music, fine and gross motor skills. These skills will be explored in each class. What should we expect in the first class? Some children may be quite happy to participate in each activity, but there are also some children who may be quite shy and won’t participate much or not at all, as well as some who become visibly upset. This is perfectly normal. As children become more familiar with the activities and their surroundings each week they come, they gradually move out of their comfort zone and begin to feel relaxed and confident and begin to participate. Try to encourage them as best you can and give praise when they do give it a go. 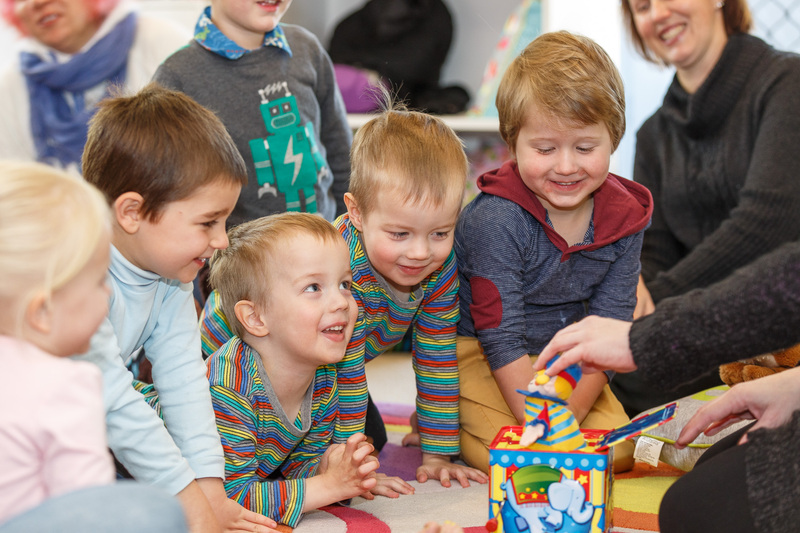 In your first class you will be singing, moving, dancing, playing with musical instruments and props, listening to live and recorded music, enjoying a sung story and a very special cuddle time with your little one. What happens if my child is shy and doesn't want to participate? They can also get quite upset around lots of people. Encourage your child the best you can without being too pushy. Let them feel safe and comfortable. When they’re ready they will participate – give praise no matter how small the step. If they are upset and find it difficult to calm down, feel free to step outside and return to class when it’s convenient. Are we able to take pictures and film our child in class? Yes of course. We encourage you to capture those precious memories. But please, photograph or film only your own children. The filming/photography of other children, parents/carers, the teacher and the class itself are strictly forbidden. Do we need to bring anything to music class? What do we wear? There is no need to bring anything to music class, unless you want to bring your own small blanket for your baby to lie on. All instruments and resources are supplied, except for a display folder, which you may like to have to put your weekly sheets in. Wear something comfortable to music classes as we are always moving! 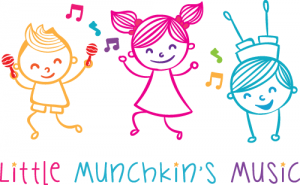 There are no hidden or additional costs in the Little Munchkin’s Music program. All materials are supplied. Do you have bathroom/change facilities? And is there parking available? Yes, there are bathroom and change facilities available. There is plenty of parking available on the street. Please ensure that you do not block my or my neighbours’ driveways, or use my driveway to park on. How do we sign up for the rest of the term? How can we pay our fees? Upon completion of your FREE trial class you are welcome to sign up for the rest of the term. Fill out a form at the end of the class and if you want to pay for the rest of the term that same day there will be a discount available. An invoice will be issued for the term (usually around 9-10 weeks) or remainder of term. The invoice can be paid via cash, bank transfer or credit card (in person only). A $5 fee applies to all credit card payments. What age do you suggest my child starts learning an instrument? And what instrument should they play? Usually at around age 3-4 your child could start to play an instrument like piano or violin. Some good indicators to look out for: do they know and recognise the alphabet from A to G; can they count and recognise numbers from 1 to 5; can they move their fingers individually (e.g. can they wiggle their pointers); can they sit still and listen to instructions for a short time? If you think your child is able to do most or all of these, then it may be worthwhile having a FREE 10 minute trial to see how they go (piano only). Violins can be rented from Morris Brothers Musical Store in Stafford or you may purchase your own instrument. “Music for Little Mozarts” is the piano method we recommend for young beginners. My baby was unwell yesterday with a temperature. Is it safe to bring them to class? If your baby/child has been unwell with a temperature for the past 24 hours, or has been vomiting etc, it is recommended that you stay at home. Once they have been well for 24 hours without fever etc, please feel free to come back to class and/or attend a make up class. Are grandparents or au pairs allowed to bring my children to class if I am working? Absolutely! We encourage grandparents, au pairs, nannies and any other carer to join in the fun! 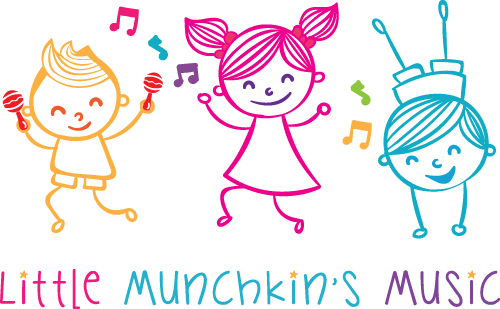 Little Munchkins Music / Annette's Music Studio provides private and group music lessons in piano, strings, voice and theory for Brisbane children and adults. Our premises are in Ferny Hills.